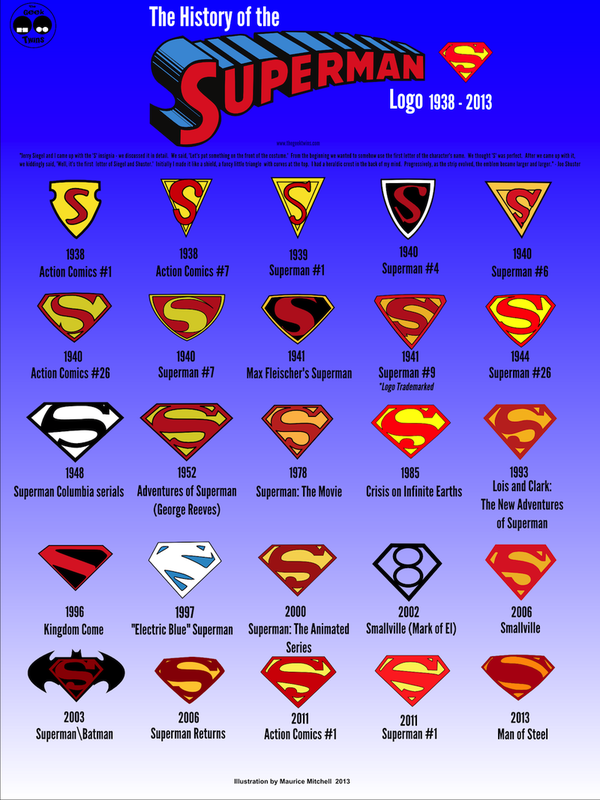 Perhaps inspired by Cathryn Lavery's grand poster of Batman logos, Maurice Mitchell created his own superhero infographic, tracing the 75-year history of the Superman shield. He admits that the chart isn't completely comprehensive, but focuses on the major logo designs. It looks like this one isn't available as a poster, at least not yet.